This week instead of studying a mystery object we invite you to take a close look at pages 8 and 9 of “Information for tourists” compiled and edited by C.J. Turner circa 1930s. 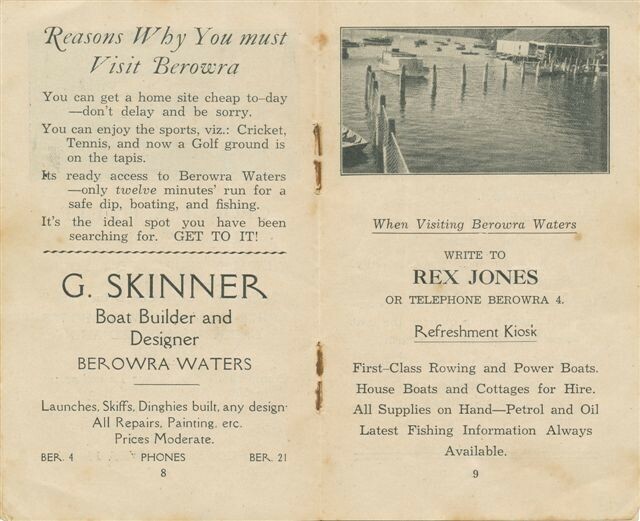 The telephone numbers reveal something quite interesting and Berowra Waters can boast among its many attractions, a swimming pool!